Although I wouldn’t expect the contrast-detection AF of the RX10 to be as fast as that of a DSLR, it is surprisingly snappy and once again its performance is largely on a par with the RX100 II compact camera. At longer focal lengths there is a drop in speed when focusing between minimum and maximum distances, but it is still more than adequate for a general all-round camera. The RX10’s focusing has a few interesting features. One of these is face-detection AF, which goes one step further than most, and – as seen on Olympus’s OM-D cameras – it focuses not only on the face of the subject, but also on the closest eye to the camera. For portrait photographs and candid shots this can make a real difference, particularly when shooting with the f/2.8 aperture at longer focal lengths. Of course, the camera also features focus tracking, enabling particular subjects to be tracked regardless of whether the subject or camera moves. For moderately moving subjects, or for those who like to use the centre AF spot to focus and recompose, it is a good way to ensure your focusing is accurate. Those wishing to manually focus are also well catered for. While the zoom ring can be used for this, it is an electronic ‘fly-by-wire’ motorised system that nevertheless makes it possible to focus with a good level of accuracy. 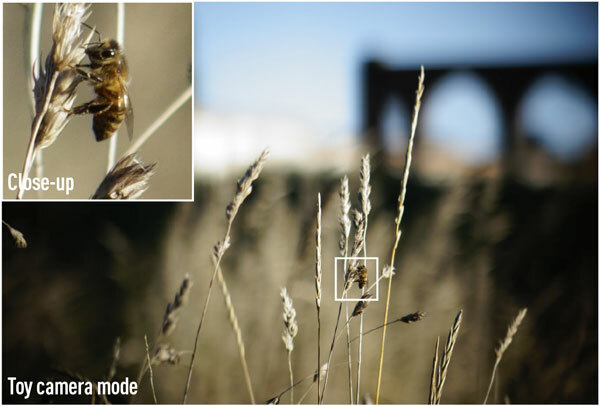 To aid manual focusing, a magnified section of the image can be shown on the rear screen or in the viewfinder, and there is also the option to use focus peaking set to one of three strengths. The focus-peaking tool highlights edges that have reached their highest point of contrast. The system works well, although it requires a little practice to work out exactly how to get the best from it.